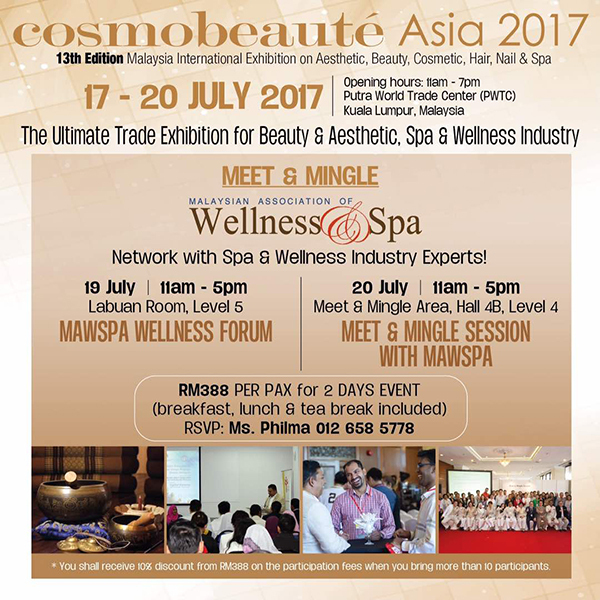 [MALAYSIA] Spa & Wellness Focus in Cosmobeaute Asia 2017! Calling All Spa Managers, Directors and Owners! 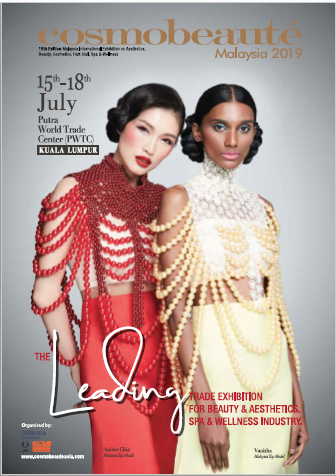 Your best Spa products sourcing platform, learning ground and networking session with the industry players is here at Cosmobeauté Asia 2017! -The Malaysian Market for Medical Tourism, Wellness Travel & Healthy Lifestyle and many more. 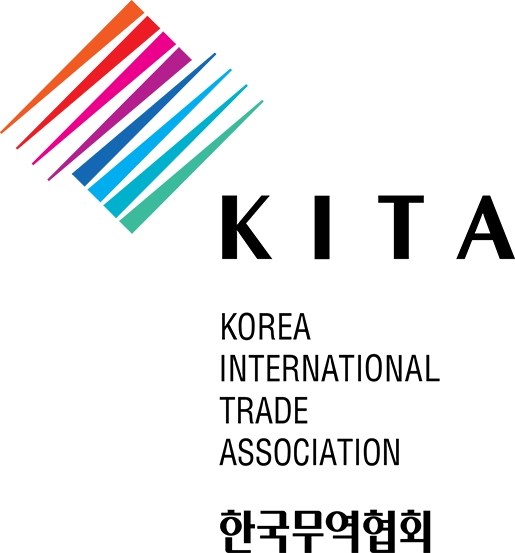 – Networking session with Spa & Wellness industry players. RSVP now with Ms Philma at +6019 230 0051 to secure yourself a seat for the above 2-days event and you’re entitled for a certificate!